Star Micronics America, a leading worldwide manufacturer of point of service printers, has announced that three of their printers are now certified with Aldelo’s XERA POS. After an extensive certification process, Aldelo has certified the TSP100, SP742 and SP500 point of service printers from Star Micronics. Specifically designed for all fine dining, table service, and quick service operations, XERA POS is a hospitality point of sale software that embodies the latest user interface look and feel with intuitive screen workflow. The combination of the Star printer and Aldelo software is ideal for virtually any hospitality environment. 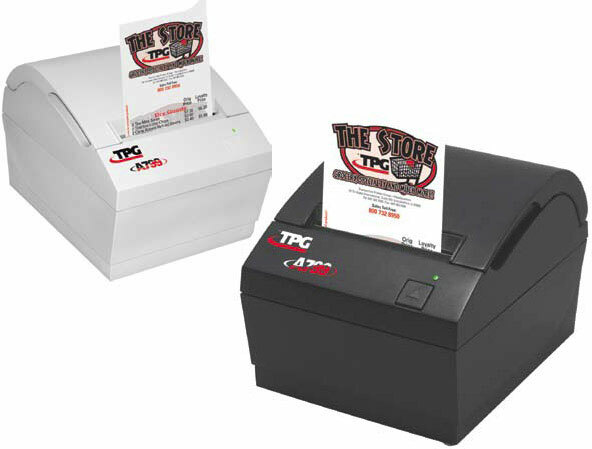 Star’s TSP100 is the first all-in-one receipt printer and offers a high throughput of 22 receipts per minute (RPM). The TSP100 is wall mountable to create more counter space and offers the revolutionary futurePRNT receipt design software. Star’s leading impact printers, ideal for kitchen use have also been certified for XERA POS. The SP700 is an impact printer that is built specifically to work in environments where heat and humidity can erode the type on the kitchen order. It is a fast, two-color printer that offers crisp, easy to read type for quick viewing. In addition, Star’s legacy impact printer, the SP500 has also been certified. The SP500 is an excellent solution for food service and kitchen applications. It also boasts a high speed and can print 4.2lines per second at 40 columns. The Simple Choice Solution offers two different hardware configurations an All-in-One POS terminal or a PC-based version. LogicTouch includes the top-line Logic Controls All-in-One terminal, LogicTouch, and the most reliable thermal printer from Logic Controls. LogicTouch, known for its high reliability and exceptional performance, has incorporated with 1GHz Celeron-M CPU, 1GB RAM and 80GB HDD. It is equipped with ELO touch screen technology and a built-in MSR for its maximum functionality. Windows XP Pro is included. PC-based option comes with the model LC8200 ¡V fan-less and vent-less retail-hardened computer. The small footprint and the rugged die-cast housing provide the flexibility and the reliability needed for restaurant operations. It is the perfect choice for use in the high demand often times harsh hospitality environment. The LC8200 is configured with 1GHz Celeron-M CPU, 1GB RAM, and 80GB HDD. Also included are the 15¡¨ super-value touch screen, the mini magnetic stripe reader, and the USB thermal printer. Microsoft WePOS is included. The Simple Choice Solution will arrive ready to operate. Both Simple Choice Solution configurations come with Aldelo For Restaurants Lite Edition software preloaded and included in the price. 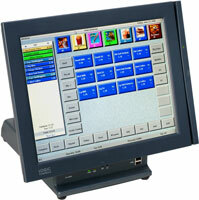 The Lite Edition is the ideal POS software for quick service restaurants. Aldelo’s hospitality solution has been well received in over 40,000 installations around the world due to its flexibility, ease of use and completeness. The Aldelo Lite software can be registered via phone, mail, or the internet, and can be upgraded to the Aldelo For Restaurants Pro Edition at a later date.